Thank you to all presenters, exhibitors, sponsors, session chairs and attendees who helped make this joint conference a success! 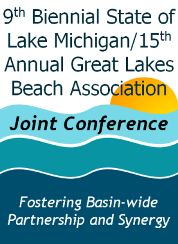 The 9th Biennial State of Lake Michigan/15th annual Great Lakes Beach Association Joint Conference was held at the near beautiful Traverse City, Michigan, on October 28-30, 2015. Attendees heard from top experts in their fields about the current status and science behind Lake Michigan and beach restoration and management. Optional activities included field trips, training sessions, and two evening receptions. 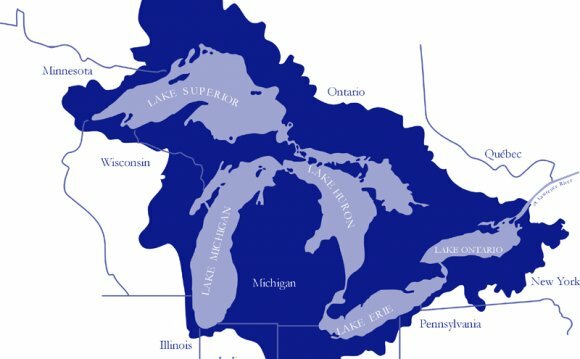 This year’s conference also showcased The Freshwater Summit, an annual gathering held in Traverse City of environmental professionals, scientists, engaged citizens, and government agencies to explore local and regional water issues from a Great Lakes regional perspective. This joint conference drew together more than 400 resource managers, scientists, elected officials, planners, students, and interested citizens from around Lake Michigan and the Great Lakes.